even worn miniature combat boots. Still, at this time I liked all the Services and I started building model airplanes and Army models while my brother built model Navy ships. In the 60s we had a competition of Air Force Verse Navy in our bedroom with Naval Academy and soon the Air Force Academy pennants on the walls and various pictures of ships and planes. My interest in the military increased and leaning mostly to the Air Force. I had a cousin that served in the Air Force as well as neighbors that were stationed at Biggs Air Force Base in El Paso, Texas. I remember the 50s TV show of “You asked For It” where you would write in and request they show a special location. I sent mine in asking to show a SAC Air Force Base, but they never got to it. I remember watching the B-36s takeoff and land at Biggs AFB back in the 50s and I always wondered what it would be like to fly in one of those. One of my neighbors was a MSgt at Biggs and I kept bugging him about what it was like to serve. I also remember when a B36 crashed into the side of the Franklin Mountains while on approach to Biggs AFB. The crash site was close to housing and was not far from where we lived. I remember seeing my first B58 land and take off at Biggs AFB. All these sights of planes just whetted my appetite for more. In high school I would beg my brother to get me a ticket to see Texas Western College (before they became The University of Texas at El Paso and win the NCAA Basketball Championship in 1966) play Air Force Academy in football and basketball. I was hooked. It was during Christmas break of 1965 in my senior year in high school that I began to get serious about my future. Since I couldn’t afford to go to college, I went to visit the local recruiting offices and explored what they had to offer. The Air Force (there really wasn’t any other service I really wanted to join, but I had to check anyway) offered the best future skills that I liked and it was then I decided the Air Force was for me. I scored well on the tests and could select most anything I wanted. Although Ft Bliss was right next to Biggs AFB in El Paso, I was not interested in the Army. They just didn’t have the airplanes. I scored high in what was called the General Field and put down my three choices as Photo Mapping, Weather Observer and Mandarin Interpreter. I didn’t score high enough in the language testing, but was glad of that because of the limited assignments associated with this career field. So at completion of Basic Training, I received orders to go to Chanute AFB, IL for Weather School. With just over one hundred of us, we left Lackland AFB by train going to Chanute for various schools. When we left San Antonio, it was a nice warm day and arrived at Rantoul, IL in snow. Coming from the desert, this was new to me. I think I had seen snow maybe three or four times in my life. I really liked the Weather career field and I still do it as a hobby. To this day, first thing I do when I walk out the door is look at the sky. I guess the reason I got out was that I needed to do something else and raise my family without being separated from them while they were still young. I had seen a lot of separations and the problems associated with them. I got out of the Air Force after my second enlistment, went back home to El Paso, TX, attended college at night while working as a Forklift Operator at Ft Bliss and as a SSgt in the Air Force Reserve as a Weather Observer as an Augmentee at Holloman AFB, NM Weather Station. After Junior College, I got a job with the National Weather Service in San Angelo, TX as a Meteorological Technician. After about 10 months, I was transferred to Stephenville, TX as a Weather Radar/Upper Air Specialist. 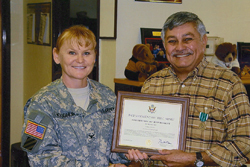 Worked their until I graduated from Tarleton State University with a Bachelor’s Degree and moved on to worked with the Department of the Army as a Quality Assurance Specialist Ammunition Surveillance (QASAS) civilian. Some interesting assignments as a QASAS included Saudi Arabia and Korea. So in the end, I worked my two hobbies for nearly 39 years thanks to the Air Force and Army. 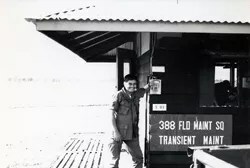 My job at Nahkon Phanom Royal Thai AFB, Thailand in 1969 was to support missions over Laos heading for the Ho Chi Minh Trail or other sites in Laos. I spent the first six months working the base weather station and alternating working in the Control Tower. The last months there I was working the CPS-9 Weather Radar located at Task Force Alpha. 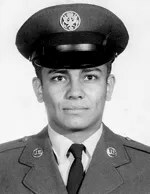 The CO at TFA was the Base Commander at Webb AFB while I was stationed there in 67-68. I followed him to NKP in ’69. I talked to some Pilots over Laos that required weather updates. At one point I had to vector an aircraft from a point deep in Laos heavy with thunderstorms and monsoon rain using my weather radar. Since I could attenuate my radar signal, I could decrease the precipitation sign and let the pilot know which was the best possible route around the thunderstorms. An incident that happened to me while working at TFA occurred one night while I was working the Radar. We had two rooms, one with the CPS-9 Radar and the other across the hall with the satellite receiver where we would get the latest satellite photos on weather. I had just finished checking the Radar when I went across the hall to check on the latest photos coming in. When I returned to the Radar room, I found the the door had shut and locked. I went back across the hall and called the security NCO for a spare key. Realizing that I needed to get back into the Radar room soon in order to run my scan, I started looking for a way into the Radar room from the Satellite Room. I looked at the floor tiles and realized that I could lift them up and underneath were cables and assorted pipes. I also noted that it was a crawl space and I decided that I should see if I could get into the Radar room this way. I tried a couple of tiles before I found one that opened just inside the door of the room and I removed it and crawled inside. I replaced the tiles in both rooms and resumed my duties with the Radar. The Security NCO finally showed up and asked how I got in. When I told him my story, he said that I found a security flaw because I could have access to most of the offices in the building using the crawl space. Don’t know what finally happened, but I’m sure it was addressed at higher levels. My first assignment after tech school was Webb AFB in Big Spring, Texas. As a brand new 19 year old, and being on my own it was a great place. The AF personnel in our Weather Detachment were great and taught me well. Shortly after arriving, my CO (I think it was Capt Lydon) took my friend and I up on his private airplane over Big Spring, TX. This was a great introduction to my first assignment. 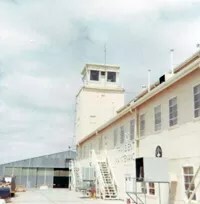 I worked in the Base Operation building and alternated with the Remote Observation Site on top of the Transient Maintenance building. In the Base weather Station, I worked two different weather Radars, the FPS-77, just coming in on line and the old APQ-13, a relic from a B-29 and still a useful tool for short range. My favorite work site was the ROS. 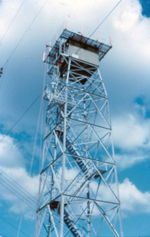 It was a wooded tower structure on top of the Transient Maintenance building and used to be the old Control Tower. We had a speaker where we could listen to the Control Tower Personnel instructing pilots landing and takeoffs. It was from this site that came my most memorable sights and sounds. The night a B58 Hustler had request takeoff at night from Midland Center was a sight to see to appreciate what this aircraft could do. They had requested a certain flight altitude but were denied by Midland Center. 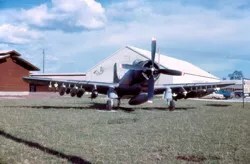 After repeated request and denials The pilot said “Roger” and took off and when it reached the end of the runway headed straight up with afterburners going until it reach the level Midland Center had given them after which the pilot radios Midland Center “have a nice evening Midland”. Another time I saw an aerial maneuver by an F104 and a T33 over the field. The F104 shot almost straight up and the T-33 tried to follow. After a few moments, I heard the T33 declare an inflight emergency and landed. From what I heard afterwards, the T-33 had suffered some type of structural damage while trying to catch the F104. The F4s however made a big impression when they stopped at Webb. After they left, we found stenciled on several buildings a picture of a figure that resembled the radio and movie character the Shadow with the word underneath “The Phantom”. There are many more stories like this, but best of all, this is where I met my future wife. From Webb AFB, TX I went to Nahkon Phanom RTAFB (NKP), then to Holloman AFB, NM and finally Davison AAF, VA on Ft Belvoir. I didn’t have a least favorite assignment. Each assignment was different and required different skills, so I wasn’t really into not liking where I went as long as I learned and had my family with me. Davison Army Airfield at Fort Belvoir also a great assignment. I had a chance to meet General Westmoreland while working at Base Weather during one evening and the Airfield also supported the Presidential Support Army Helicopters. It was at Ft Belvoir that I really learned to hunt and fish. I had a great Army SFC friend that lived above me in base housing that took me to his favorite spots on Post. One day while out squirrel hunting, he took me to a place that had a fence around a medium size tree with a sign that said “American Chestnut Tree, Keep out”. Forests of American Chestnuts were devastated when a blight killed most of them off. What I had learned during all of my weather training was to pay attention to all details and report accurate information no matter how insignificant they seem. This attention to detail served me in two later incidents involving weather. The first incident was when I watched an A1 takeoff from NKP, Thailand one night in fog and rain while I was on duty as a Weather Observer in the Control Tower and saw the plane go up in a fireball at the end of the runway as the ordnance exploded and afterwards giving my testimony before the inquiry board. Not sure what the finally outcome was, but weather was not a factor. Another incident involving a plane crash at Dallas/Ft Worth Airport (DFW) occurred on my watch as a Weather Radar/Upper Air Specialist working for the National Weather Service at Stephenville, Texas, in 1985. This time it was a weather related incident. A book was written and a movie made based on the book including what I consider slanderous content aimed at me contrary to actual details. The press was brutal in its reporting, but my testimony at the NTSB inquiry was solid with very specific details that were not report by the press previously. The NTSB Board determined two years later that it was pilot error. Once again, attention to details played an important part for me.and is always at the forefront of whatever I do. 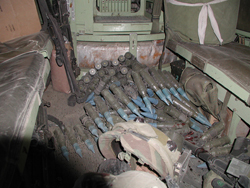 It also served me well in my later career as an Ammunition Inspector, a field that really requires detail analysis. I’m sure that I could have learned this attribute elsewhere, but I learned it at as a young Airman at Weather School at Chanute AFB, IL. WHAT ACHIEVEMENT(S) ARE YOU MOST PROUD OF FROM YOUR MILITARY CAREER? IF YOU RECEIVED ANY MEDALS FOR VALOR OR OTHER SIGNIFICANT AWARDS, PLEASE DESCRIBE HOW THESE WERE EARNED. I am proud of the Outstanding Unit Award with “V” Device earned by Det 25, 10th Weather Squadron, Nakhon Phanom, Thailand. Not sure what the citation read. I first found out about it when I read it in Air Force Times back in the States in 1970. After awhile, since I didn’t have orders, I stopped wearing the V device. Didn’t want to wear anything I could not prove I earned. It was 41 years later when I was reading the History of the Air Force Weather Service that I found out that my Unit had the “V” device and Outstanding Unit Ribbon awarded. I contacted my Congressman for assistance on how to get my medal put on my records. In about a month or two, I found out that it was in my records as well as The Presidential Unit Citation, two more Vietnam Service Stars and the Vietnam Gallantry Cross with Palm. 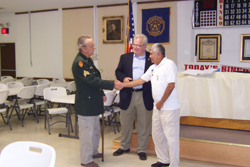 My Congressman presented them to me at a ceremony at my local American Legion Post in Las Cruces, NM, where I currently reside. Although not as important as my other ribbons, my Marksmanship Ribbon earned in Basic Training had special meaning. Reason for this is that I never shop a rifle in my life until then and then I had to shoot left handed because I found out my left eye was my master eye. I shot 70 out of 70 in four position shooting (including the 10 Practice) the first time. To this day, I still shoot left handed. Also, the National Defense Service Ribbon. Every assignment had its leaders that provided outstanding influence and to single out one would do injustice to the others. Every single location I was at had at least two or three individuals that provide advice I listened to and learned from. That was the thing about the Air Force, quality people were always around to help my career. The Forecasters, Officer or NCO always were willing to teach and answer questions from a 19/20 year old. My first assignment at Webb AFB, TX brought me under the influence and friendship of SSgt that has remained to this day. He opened his house and experience to me that helped me grow in the weather career field, both military and civilian. Best of all, he introduced me to my future wife. Another Webb member of our weather family has become my best friend and brother-in-law. 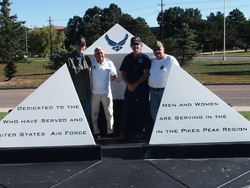 It seems that Webb AFB personnel had the most influence on me probably because it was my first permanent duty station and a strong bond developed with several of the weather personnel there. I wanted to visit my brother in Korat when I was at Nakhon Phanom, Thailand in 1969 and saw a U6 (I think it was) getting ready to leave for Korat. My NCOIC and CO weren’t around so I asked my Weather Forecaster Lead permission to go to Korat and was granted. I caught a ride on the flight taxi and the pilot waited for me to get there. He asked if I had a flight manifest and I said yes, not knowing what it was at the time and what he was talking about. Anyway, it was an easy flight and my brother was working the Transit Alert on the Korat flight line and actually met my flight. We had a great reunion for the next two days and then it was time to go back to NKP. This is when the complications began. I had no orders or money to make my way back. I called my Weather Forecaster Lead for help and he went to the CO to inform him if he would sign a twix without reading in. And of course he wouldn’t, so he told the CO my situation. The CO called the Weather CO at Korat and explained my problem. He fixed up some orders for me to go back to NKP, but this later caused another problem. I boarded a flight to Bangkok to catch back to NKP since there wasn’t a direct flight there. At Bangkok, they wouldn’t let me on the flight to NKP because my orders read from Korat to NKP. Well, another phone call, they finally let me on the flight. Now, this C130 flight normally made a counterclockwise flight of all the airbases in Thailand, but this time it went to NKP first. Not realizing this, I sat in the plane as everyone got out and just before they closed the ramp, I looked outside the window and saw the sign that said “Welcome to Nakhon Phanom”. I ran for the ramp as It was starting to close and thanked whatever lucky stars were left. Of course I had to “brief” the CO, but that didn’t adversely affect me or my career, thanks to an understanding CO, a Major that knew enlisted men. Besides, he knew I was due an R&R. I was in the Air Force Reserve for three years after my discharge during which I worked at Ft Bliss as Forklift Operator/Warehouseman. After getting my Associates Degree, I applied and went to work for the National Weather Service in San Angelo, TX as a GS-5 Metrological Technician. After 10 months there, an opening came up in Stephenville, TX as an Upper Air/Weather Radar Specialist. While working there, I completed my Bachelor’s’ Degree at Tarleton University. I then applied and was appointed to the Department of the Army Ammunition School in Savanna, IL as a QA Specialist (Ammo) Intern. 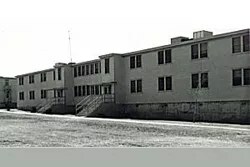 After Ammo School I served at McAlester Army Ammunition Plant. From there I went TDY to Saudi Arabia during Desert Storm as well as other TDY’s in the US. From there I went to Korea for four years. Traveled all over Korea on TDY, From there I went to Ft Irwin, CA and worked my way up to the Supervisor of the Ammunition Surveillance Section. After I retired, I was called back to work (voluntary of course) at McGregor Range to fill a shortage of Surveillance Inspectors at that location. Nine months later I was back in California planning my move out of that state. An opening came to run the Storage Branch of the Ammunition Supply Point at McGregor Range, NM as a contractor under Raytheon. Five months of this and traveling 100 miles a day convinced me it was time to finally retire. Still, weather has remained my hobby and I am a Severe Weather Spotter for the National Weather Service. I’ve also served as a Weather Merit Badge Councilor for the Boy Scouts in the past. I can say that I have worked both of my hobbies in weather and ammunition for almost 39 years. I couldn’t have it better. Now I am retired and still doing weather and lots of reloading and shooting. My wife and I also travel in our new RV(wore out the first one). I have worked as a Campground Host at Chaco Culture National Historic Park and at Three Rivers Petroglyph Site, both in New Mexico. I have worked on various Archaeological Sites under some great Archaeologists as an ammunition consultant on old cartridges found at Apache battle sites. I photograph petroglyphs wherever I go just for pleasure. Life is good. I’m proud to be a member of the Air Weather Association, the American Legion and most of all a member of the Thailand, Laos, Cambodia Brotherhood. The camaraderie is outstanding in the TLCB and I attend as many of the yearly reunions as I can. The Brotherhood supports schools in Laos derived from our members generosity and fundraisers. We have our own members living in Thailand that lets us know what is needed and we provide the necessary funds to finance the support. There is no overhead for a middle man. 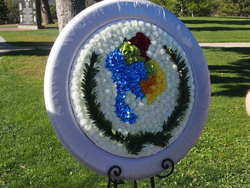 All support is provided by dedicated members that routinely go to Thailand and Laos and keep the membership informed. This is one of the most unselfish organizations that realizes that we did not forget the people of Laos. Our members not only come from all Services that served in Thailand, Laos, and Cambodia, but also Vietnam and related fields in Southeast Asia. 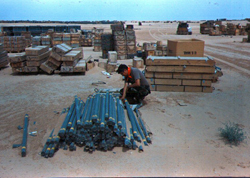 After I got out in Nov 1973, I went to work as a warehouseman/forklift operator at Ft Bliss, TX during which time I went to college in the evenings. I was also in the Air Force Reserve for three years following my discharge. The most important thing was that I had matured in the Air Force. I had a clearer view of what I wanted out of life. Attending night school was a breeze. I found I had the discipline to carry the workload at work and school at night, my studies never suffered. This discipline continued throughout my Junior College time. This was a far cry from my high school attitude. When I continued my college later in the 80s, this discipline continued. 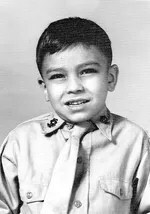 I was self taught on computers in the mid 80s and wrote programs for my career with the Department of the Army at McAlester Army Ammunition Plant. If I needed a skill to accomplish a job, I went looking for the training. I still have the “I can do this” attitude. The detail oriented attitude I learned in Weather School carried into everything I did from the lowest paying jobs to the supervisory positions I held. I have heard a lot from young men and women about how great their Military Service is compared to the others. I don’t agree. All Military Services work together to achieve the same goal, to protect America. Not one single Service can achieve that. The Military Services are a team and this is what we need to instill in our young men and women. Be proud of whatever Service you are in, but it is only as good as each one of us makes it. I chose Air Force not because it had a great uniform or long tradition, but because it was a great way to learn discipline, earn a skill and serve my country. Stay the course and contribute. Make changes as you learn and earn the grade to make it better and train others. In other words, the Military is what you make it regardless of the skill you are in. I’ve seen a few with the “they owe me something” attitude. The Military owes you nothing, but it does give you an opportunity to be someone, and be a “giver” not a “taker”. If and when you get out, you will find that your military training goes a long way in your future endeavors, whether it is in the same career field you served in or a new one. long trip aboard his boat after retiring. Two others from Webb AFB, TX days I have kept in touch with are now related by marriage. When I joined this organization, I started pulling out all my Air Force documents and going over all the memories that were buried. The photos of people I had served with and the stories that went with them came back. I started going on the internet looking for more information. I had posted some of my photos of Thailand on one web site and found some had been used in other stories. I realized that there are people out there that cared about what you did. This organization AFTWS as well as The Thailand Laos Cambodia Brotherhood (TLCB), American Legion and the Air Weather Association gave me back that pride I lacked for many years. I have found real brotherhood with AFTWS,AWA and the TLCB.